Attention to relevant emotional information in the environment is an important process related to vulnerability and resilience for mood and anxiety disorders. In the present study, the effects of left and right dorsolateral prefrontal cortex (i.e., DLPFC) stimulation on attentional mechanisms of emotional processing were tested and contrasted. A sample of 54 healthy participants received 20 min of active and sham anodal transcranial direct current stimulation (i.e., tDCS) either of the left (n = 27) or of the right DLPFC (n = 27) on two separate days. The anode electrode was placed over the left or the right DLPFC, the cathode over the corresponding contra lateral supraorbital area. After each neurostimulation session, participants completed an eye-tracking task assessing direct processes of attentional engagement towards and attentional disengagement away from emotional faces (happy, disgusted, and sad expressions). Compared to sham, active tDCS over the left DLPFC led to faster gaze disengagement, whereas active tDCS over the right DLPFC led to slower gaze disengagement from emotional faces. Between-group comparisons showed that such inverse change patterns were significantly different and generalized for all types of emotion. Our findings support a lateralized role of left and right DLPFC activity in enhancing/worsening the top-down regulation of emotional attention processing. These results support the rationale of new therapies for affective disorders aimed to increase the activation of the left over the right DLPFC in combination with attentional control training, and identify specific target attention mechanisms to be trained. Efficient selective attention to relevant emotional information in the environment is a crucial cognitive process that influences individuals’ emotional experience and subsequent functioning (Gross, Sheppes, & Urry, 2011). Neurocognitive models of affective disorders (De Raedt & Koster, 2010) refer to emotional selective attention, resulting from two neurocognitive mechanisms, namely an initial attentional engagement with relevant emotional information and a subsequent attentional disengagement from it (Posner & Cohen, 1984), with their basis in two related neural systems (Corbetta & Shulman, 2002). First, a ventral system – recruiting the ventral anterior cingulate cortex (ACC) and limbic structures, particularly the amygdala – would automatically drive attention towards salient emotional stimuli and initial emotional responses to them. Second, a dorsal system – recruiting the dorsal ACC and dorsolateral prefrontal cortex (DLPFC) regions – would be involved in the top-down regulation of attention, helping to maintain a homeostatic emotional control (Ochsner & Gross, 2005). This latter process would be achieved via inhibitory pathways towards the ventral system, behaviorally reflected by an efficient attentional disengagement from emotional information that is no longer relevant. Particularly, the DLPFC has been shown to be an important region for the implementation of top-down attentional control (MacDonald, Cohen, Stenger, & Carter, 2000; Vanderhasselt, De Raedt, Baeken, Leyman, & D’haenen, 2006), which in turn is a crucial attentional mechanism of emotion regulation (Sanchez, Romero, & De Raedt, 2017; Sanchez, Vazquez, Marker, LeMoult, & Joormann, 2013). Specifically, differential activations in the right and left DLPFC hemispheres have been related to top-down (dys)regulation of emotional attention, respectively (De Raedt, Vanderhasselt, & Baeken, 2015). Results from neuroimaging studies have shown that anxious and depressed individuals, both typically characterized by impairments in their attentional disengagement from emotionally negative information (e.g., Leyman, DeRaedt, Schacht, & Koster, 2007; Sanchez et al., 2013, 2017; Schofield, Johnson, Inhoff, & Coles, 2012), exhibit reduced left and increased right DLPFC activations while performing tasks requiring top-down regulation of emotional attention (Disner, Beevers, Haigh, & Beck, 2011). This has led us to consider hyperactivity in right DLPFC (as compared to left DLPFC) as a marker of impaired attentional disengagement and mood dysregulation (De Raedt & Koster, 2010), while increased activity in the left DLPFC (as compared to right DLPFC) would be a critical ingredient for an efficient regulation of emotional attention (De Raedt, Vanderhasselt, & Baeken, 2015). The most direct test of such hypothesized lateralized effects comes from studies using neuromodulation techniques to directly manipulate the activation of the right and the left DLPFC and test their casual contributions on mechanisms of selective attention to emotional information. Using a single-session of high-frequency repetitive Transcranial Magnetic Stimulation (HF-rTMS) in healthy individuals, De Raedt et al. (2010) demonstrated differential effects of the stimulation of right and left DLPFC, with right stimulation resulting in impaired disengagement from angry faces, and left stimulation resulting in diminished attention towards them. However, De Raedt and colleagues only tested DLPFC effects on selective attention to negative information and relied on reaction time-based proxy estimations of attentional allocation. Therefore, it is unclear whether lateralized DLPFC effects would reflect differential roles in direct processes of attentional engagement with versus attentional disengagement from emotional information, and whether those effects would be only specific in the processing of negative information. In Sanchez, Vanderhasselt, Baeken, and De Raedt (2016), we addressed some of these issues by testing the effects of active versus sham anodal transcranial direct current stimulation (i.e., tDCS) over the right DLPFC in healthy individuals, using direct indices reflecting their times to engage gaze towards and to disengage gaze away from several emotional faces (i.e., happy, angry, and sad facial expressions). Using an eye-tracking engagement-disengagement task where participants have to make direct saccades towards and away from emotional faces (Sanchez et al., 2013), we found that tDCS over the right DLPFC compared to sham stimulation led to impairments in (i.e., slower) attentional disengagement from both positive and negative faces. In contrast, no effects on attentional engagement were found. Results from Sanchez et al. (2016) support the notion that right DLPFC alterations may be involved in the generation of impairments in attentional disengagement from emotional information. However, in this study a group receiving anodal tDCS (vs. sham stimulation) over the left DLPFC was not included. Therefore, we could not be certain whether a hypothetical reversed effect (i.e., improved, faster attentional disengagement from emotional information) would be also evident as the result of contralateral tDCS over the left DLPFC. In the present study, we aimed to test this inverse lateralization hypothesis by extending the experimental protocol of evaluation used in Sanchez et al. (2016), now including an additional condition of anodal tDCS over the left DLPFC in another yet comparable sample. Anodal tDCS over the left DLPFC has been found to produce improvements in attention regulation during emotional processing. 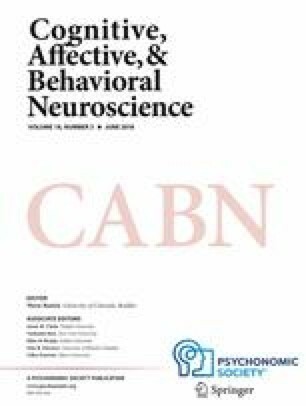 Both healthy and highly trait-anxious individuals trained to regulate their emotional attention show improvements in the specifically trained patterns (i.e., look towards or away from negative stimuli) after receiving anodal tDCS over the left DLPFC (Clarke, Browning, Hammond, Notebaert, & MacLeod, 2014; Heeren, Baeken, Vanderhasselt, Philippot, & de Raedt, 2015). Furthermore, anodal tDCS over the left DLPFC results in reductions of negative attention biases both in clinically anxious and depressed individuals (Heeren et al., 2016; Ironside, O’Shea, Cowen, & Harmer, 2015), with attention changes mediating the effects on tDCS on emotional reactivity to stress (Chen, Basanovic, Notebaert, MacLeod, & Clarke, 2017). Despite the great merits of these previous studies, some issues prevent solid conclusions on the role of left DLPFC in specific emotional attention mechanisms being made. First, most previous studies were based on samples of highly anxious and/or depressed individuals, which adds potential confounds of existing attention impairments associated to current symptomatology. Second, previous studies have relied on reaction time-based proxy estimations of attentional allocation or composite indices of gaze behavior that do not distinguish specific operations of attentional engagement versus disengagement. In the present study we aimed to extend results from Sanchez et al. (2016), by using an eye-tracking task, the engagement-disengagement task (Sanchez et al., 2013), that allows a straightforward measurement of gaze engagement with versus gaze disengagement away from emotional faces, this time also testing the effects of anodal tDCS over the left DLPFC. Overall, we now included two groups of healthy individuals who received both sham and real anodal tDCS over one hemispheric side of the DLPFC at different sessions, and completed the eye-tracking task after each of the stimulation sessions. One group received sham and real anodal tDCS over the left DLPFC, whereas the other group received sham and real anodal tDCS over the right DLPFC (see Sanchez et al., 2016). This allowed reliably testing the hypothesis of an inverse lateralization of stimulation over DLPFC regions (i.e., anodal tDCS over the left DLPFC leads to faster attentional disengagement from emotional information; anodal tDCS over the right DLPFC leads to slower attentional disengagement from emotional information) and using between-group contrasts to determine the difference between such inverse tDCS effects. The total sample was composed of 60 undergraduates of Ghent University. The right DLPFC stimulation group (n = 30) comprised the original sample tested in Sanchez et al. (2016). The left DLPFC stimulation group comprised a new sample of 30 undergraduates. Participants in both groups were recruited via internet posting and selection criteria were identical: all participants were right-handed, had normal or corrected-to-normal (contact lenses) vision, women were not pregnant at the time of stimulation, and had no metal in or around their scalp. None reported a history of, or currently had, a neurological or psychiatric disorder (using the Dutch version of the MINI screen, Overbeek, Schruers, & Griez, 1999; Sheehan et al., 1997) or had a history of serious head injury. Participants were not using any psychoactive drug or psychotropic medication. In order to control for potential confounders, and to keep as much comparability among the two groups as possible, four participants (one in the left DLPFC group, three in the right DLPFC group) were excluded from the analyses due to a BDI-II score equal to or higher than 14, reaching subclinical depression levels according to BDI-II cut-off criteria (BDI-II scores < 14; see Van der Does, 2002). Two additional participants in the left DLPFC group could not be tracked during the attention task of the second session due to technical problems. The final group comprised 54 participants (i.e., left DLPFC group: n = 27, mean age = 22.9 years, 14 women; right DLPFC group: n = 27, mean age = 23.4 years, 18 women). They gave their written informed consent and received 30 euro for their participation. The study was conducted in adherence with the Declaration of Helsinki and approved by the medical ethics committee of the University Hospital. Direct electrical current was applied by a saline-soaked pair of surface sponge electrodes (35 cm2) and delivered by a battery-driven stimulator (DC-Stimulator Plus, neuroConn GmbH). The anode electrode was vertically positioned over F3 (left DLPFC group) or F4 (right DLPFC group) according to the 10–20 international system for electroencephalogram electrode placement. The cathode was horizontally placed over the corresponding contralateral supraorbital area. This electrodes placement and method of left and right DLPFC localization is in accordance with prior tDCS studies (e.g., Heinze et al., 2014; Vanderhasselt et al., 2013). A constant, direct current of 2 mA (current density = 0.06) with 15 s of a ramp up was applied for 20 min. For sham stimulation, the electrodes were positioned similar to when administering real stimulation; however, the current was ramped down after 15 s. This procedure is a reliable sham condition (Nitsche et al., 2008). Stimuli consisted of pairs of pictures consisting of an emotional and a neutral facial expression of the same person, selected from the Radboud Faces database (RaFD; Langner et al., 2010). Stimuli selection was based on normative data (Langner et al., 2010), and corresponded with the stimuli set described in Sanchez et al. (2016). Twenty-four happy, disgusted, and sad expressions (12 men and 12 women for each emotional category), together with the corresponding neutral expression of the same actors, were selected. The attention task comprised 72 trials (24 happy, 24 disgusted, and 24 sad expressions paired with the corresponding neutral expression of the same actor), randomly presented for each participant. The stimuli were displayed on a 22-in. Mitsubishi 2070SB color monitor using a Cambridge Research Systems ViSaGe visual stimulus generator with a contrast resolution of 14 bits per gun (average luminance: 104 cd/m2 (4002 Td), gamma corrected). The size of each face was 7.5 cm (width) × 11 cm (height). Pictures were centered on the screen, 39 cm apart (measured from their centers). Participants were seated approximately 75 cm from the screen’s center. This resulted in a visual angle of approximately 5.7° between the screen’s center and each picture’s center. Participants’ eye movements were recorded using a Cambridge Research Systems High-Speed Video Eyetracker (CRS HS-VET) with a spatial resolution of 0.05°, an accuracy of 0.125–0.25°, and a sampling rate of 250 Hz. The CRT monitor and the eye-tracker were controlled using the CRS Matlab toolboxes. Eye position samples were converted to visual fixation data (minimum duration: 100 ms, maximum fixation radius: 1°). Each trial started with a black screen for 500 ms, followed by a white fixation cross in the middle of the screen. Once that the eye-tracker detected a visual fixation of at least 200 ms in the cross area, a pair of faces (happy-neutral, disgusted-neutral, or sad-neutral) was presented for 3,000 ms. The engagement-disengagement task (Sanchez et al., 2013) was performed after the 3,000 ms of free-viewing (see Fig. 1). The task consisted of three conditions: (1) One-third of the trials in each emotion condition (happy, disgusted, sad) assessed attentional engagement with emotional expressions: after the 3,000 ms, the stimuli presentation did not continue until participants fixated on the neutral face for 100 ms. When this occurred, a frame consisting of a square or a circle appeared surrounding the opposite face (i.e., emotional face). Participants had to direct their gaze toward that frame as quickly as possible and press one of two response keys to indicate the type of frame (i.e., square or circle). (2) Another third of the trials assessed attentional disengagement from emotional expressions. The procedure was similar but, in this case, after the 3,000 ms of free-viewing, stimuli presentation did not continue until participants fixated on the emotional face for 100 ms and then the frame appeared surrounding the opposite neutral face. (3) A final third of trials included a regular free-viewing task, in which after the 3,000-ms free-viewing period, a new fixation cross indicated the start of the next trial. Criteria for identifying a valid shift in gaze to the framed stimuli were: (1) Participants were fixated on the opposed stimulus before the frame appeared, (2) eye movements occurred at least 100 ms after the frame appeared, (3) gaze was directed to the framed stimulus rather than a different area, and (4) participants fixated for at least 100 ms on the framed stimulus after shifting their gaze towards it. Attention indices were computed with the resulting 85.5% of valid data (88% in the left DLPFC group, 83% in the right DLPFC group): (1) Attentional engagement (i.e., latency of the first shift in gaze from the neutral face to the emotional face surrounded by the frame in the engagement condition); and (2) attentional disengagement (i.e., latency of the first shift in gaze from the emotional face to the neutral face surrounded by the frame in the disengagement condition). A single-blind randomized crossover within-subjects design was used for each group: each participant received both real and sham (placebo) stimulation (either of the left or the right DLPFC) on two separated days. The order of both stimulation sessions (real tDCS and sham stimulation) was counterbalanced over all participants in each group, with an interval of at least 48 h (most participants had an interval of at least 1 week between sessions). In each session, participants first filled a questionnaire package including measures of depressive symptoms, the Beck Depression-Inventory-II (BDI-II; Beck, Steer, & Brown, 1996; Dutch translation: Van der Does, 2002) and trait anxiety levels, the Trait Anxiety Inventory (STAI; Spielberger, Gorsuch, Lushene, Vagg, & Jacobs, 1983; Dutch translation: van der Ploeg, Defares, & Spielberger, 1980). This was followed by the corresponding stimulation session. All participants were exposed to a similar stimulation context during both sessions by asking them to remain seated and relaxed until the stimulation was finished. Mood ratings were collected immediately before and after receiving both real and sham tDCS, using six visual analogue scales (VAS) measuring current states of fatigue, tension, anger, vigor, sadness, and cheerfulness (McCormack, Horne, & Sheather, 1988). Participants reported their states for each mood in horizontal 100-cm lines. In both sessions, immediately after completing the post-stimulation VAS, participants performed the eye-tracking attentional engagement-disengagement task. Participants’ characteristics are presented in Table 1. The participants of the final sample reported low depressive symptom severity levels (left DLPFC group: M = 4.54, SD = 3.61, range: 0–12; right DLPFC group: M = 2.46, SD = 2.89, range: 0–11), and mid-to-low anxiety trait levels (left DLPFC group: M = 35.9, SD = 7.38, range: 20–50; right DLPFC group: M = 39.7, SD = 8.73). Regarding mood state, 2 × 2 × 2 mixed analyses of variance (ANOVA), with DLPFC group (left vs. right) as between-subject factor, and stimulation (active vs. sham tDCS) and time (pre- vs. post-stimulation) as between-subject factors, did not reveal any stimulation × time, all F’s< 0.94, all p’s>.33, all η p 2 < .02, or DLPFC group × stimulation × time significant interaction for any of the VAS, all F’s< 1.95, all p’s> .17, all η p 2 < .04. Therefore, the single sessions of anodal tDCS over the left and the right DLPFC did not influence mood state. M mean, SD standard deviation, tDCS Transcranial Direct Current Stimulation, DLPFC Dorsolateral Prefrontal Cortex, BDI-II Beck Depression Inventory II, STAI-T State-Trait Anxiety Inventory - Trait subscale, VAS Visual Analogue Scale. Means and standard deviations for each attention index are reported in Table 2. A 2 × 2 × 2 × 3 mixed ANOVA was conducted, with DLPFC group (left vs. right) as between-subject factor, and stimulation (active vs. sham tDCS), attention component (disengagement vs. engagement) and emotion (happy faces vs. disgusted faces vs. sad faces) as within-subject factors. Analyses showed a significant DLPFC group × stimulation interaction, F(1,52) = 5.16, p = .027, η p 2 = .09, accounted by a DLPFC group × stimulation × attention component interaction, F(1,52) = 5.33, p = .025, η p 2 = .09. This effect was not accounted by a four way DLPFC group × stimulation × attention component × emotion interaction, F(2,104) = 1.15, p = .32, η p 2 = .02. Further analyses including session order (i.e., tDCS in first session and sham in second session vs. sham in first session and tDCS in second session) as a second between-subject factor in the ANOVA showed that the main three-way DLPFC group × stimulation × attention component interaction remained significant, F(1,50) = 4.68, p = .03, η p 2 = .09, and was not explained by a four-way DLPFC group × stimulation × attention component × session order interaction, F(1,50) = 0.27, p = .60, η p 2 = .01. Similarly, further analyses of covariance (ANCOVAs) controlling for depressive and anxiety symptoms as covariates supported the DLPFC group × stimulation × attention component interaction, F(1,50) = 5.38, p = .02, η p 2 = .10, while there were no significant four-way DLPFC group × stimulation × attention component × depression, F(2.48) = 0.33, p = .72, η p 2 = .01, nor DLPFC group × stimulation × attention component × anxiety interactions, F(1,50) = 0.07, p = .93, η p 2 = .011. In order to test the hypothesized inverse tDCS effects over left and right DLPFC on attentional disengagement, we followed up the supported three-way interaction by testing DLPFC group × stimulation interactions separately for each attention component. The 2 (DLPFC group) × 2 (stimulation) mixed measures ANOVA confirmed a significant two-way DLPFC group × stimulation interaction for attentional disengagement, F(1,52) = 14.27, p = .001, η p 2 = .22, showing the occurrence of inverse patterns of disengagement change when comparing active versus sham tDCS over the left DLPFC (mean decrease in time to disengage = 0.24 s) and the right DLPFC (mean increase in time to disengage = 0.33 s), significantly different between groups (see Fig. 2A). Bonferroni-corrected within-group comparisons also confirmed the existence of such inverse tDCS effects on attentional disengagement in each DLPFC group: active tDCS over the left DLPFC resulted in faster attentional disengagement from emotional faces, compared to sham stimulation, p = .028; whereas active tDCS over the right DLPFC resulted in slower attentional disengagement from emotional faces, compared to sham stimulation, p = .003 (see Fig. 3A). Further analyses including session order as a second between-subject factor in the ANOVA showed that the two-way interaction remained significant, F(1,50) = 15.20, p = .01, η p 2 = .23, and was not accounted by a three-way DLPFC group × stimulation × session order interaction, F(1,50) = 1.96, p = .17, η p 2 = .04. Further ANCOVAs controlling for depression and anxiety symptoms also supported the significant two-way interaction, F(1,50) = 12.98, p = .01, η p 2 = .21, while there was no support for either significant DLPFC group × stimulation × depression, F(2,48) = 0.63, p = .53, η p 2 = .03, nor DLPFC group × stimulation × anxiety interactions, F(2,48) = 0.01, p = .99, η p 2 = .01. Although there was no interaction with emotion, we wanted to further ascertain with Bonferroni-corrected between-group comparisons that emotion would not be implied in the effect. Separate between-group contrast for each emotion type confirmed that the overall difference was generalized for changes in attentional disengagement either from happy (left DLPFC: mean decrease of 0.21 sec, right DLPFC: mean increase of 0.36 sec, p = .016), disgusted (left DLPFC: mean decrease of 0.28 sec, right DLPFC: mean increase of 0.40 sec, p = .008) and sad faces (left DLPFC: mean decrease of 0.23 sec, right DLPFC: mean increase of 0.22 sec, p = .044; see Fig. 2B). The 2 (DLPFC group) × 2 (stimulation) repeated measures ANOVA did not support any relevant significant main or interaction effect, all F’s< 2.03, all p’s> .14, all η p 2 < .07. Therefore, no main or inverse effects of left and right DLPFC stimulation on attentional engagement were supported (see Fig. 3B). Although there were no significant main or interaction effects, we wanted to ascertain the absence of effects by post-hoc tests. Further separate Bonferroni-corrected within-group contrasts confirmed that attentional engagement with emotional expressions did not significantly changed as the result of active anodal (compared to sham) tDCS over the left DLPFC (mean decrease in time to disengage = 0.18 s, within-group contrast: p = .22), or the right DLPFC(mean decrease in time to disengage = 0.09 s, within-group contrast: p = .53). The DLPFC has been identified as one of the key hubs involved in top-down control (MacDonald et al., 2000), linking attention and emotion regulation processes. In our previous research we showed that transient anodal tDCS over the right DLPFC in healthy individuals resulted in impairments in their ability to disengage gaze from emotional information (Sanchez et al., 2016). Based on previous research suggesting inverse top-down control improvements as the result of a contralateral left DLPFC stimulation (Clarke et al., 2014), we employed the Sanchez et al.’ (2016) study protocol, now extending it to a second condition of anodal tDCS over the left DLPFC. This served to test the hypothesis of an inversed and thus faster attentional disengagement from emotional information as the result of left DLPFC stimulation, in contrast to an impaired (slower) emotional disengagement resulting from right DLPFC stimulation. Furthermore, the combination of both datasets allowed us to establish between-group contrasts on the magnitude of such inverse lateralized tDCS effects for each group. Our results support an inverse lateralized role of left and right DLPFC stimulation in improving and worsening processes of top-down attentional control for emotional information, respectively. In comparison to sham stimulation, anodal tDCS over the left DLPFC significantly diminished the time to disengage gaze from emotional faces. In contrast, as observed in Sanchez et al. (2016), the subsample comprising anodal tDCS over the right DLPFC was characterized by a significant increase in the time to disengage gaze from emotional faces. These effects were independent from potential confounders such as stimulation order, subclinical levels of depression/anxiety in our sample or mood state differences caused by tDCS (the single sessions of anodal tDCS had no differential effects on causing mood state changes before completing the attention task, in line with previous studies; see the review by Remue et al., 2016). Whereas previous studies have shown effects of anodal tDCS of left DLPFC in proxy measures of emotional attention allocation (Clarke et al., 2014; Chen et al., 2017) or composite measures of gaze behavior (Heeren et al., 2015), our design allowed to clearly disentangling its effects in separate direct indices of attentional engagement and disengagement. These two attention mechanisms are thought to be dependent on different neural systems (Corbetta & Shulman, 2002). Particularly, the ability to disengage attention from emotional information becoming no longer relevant, as evaluated in the task, is a facet of top-down attentional regulation specifically linked to prefrontal activity (particularly in the DLPFC), which is involved in an efficient emotion regulation (Sanchez et al., 2013, 2017). In contrast, processes of attentional capture (i.e., attentional engagement) with relevant emotional information are thought to be more dependent of areas involved in bottom-up emotional selectivity. Congruent to this idea, our main analyses did not support tDCS effects on attentional engagement with emotional expressions. Contrasting with the absence of support for tDCS effects on attentional engagement, between-subject contrasts confirmed a clear lateralization of tDCS effects on prefrontal top-down attentional regulation, as measured by the attentional disengagement component. Between-subject contrasts supported the beneficial effects of anodal tDCS over the left compared to the right DLPFC, with the former improving the time to make intentional saccades away from no longer relevant emotional expressions, an effect that was generalized for every type of emotion. Overall, these findings provide support for the rationale of new therapies for emotional disorders aiming to balance the activation of right and left DLPFC areas (by inhibiting the right DLPFC or activating the left DLPFC) in combination with attentional control training (De Raedt, Vanderhasselt & Baeken, 2015). Our results highlight the need for integrating interventions to improve efficient external attentional control of emotional information together with currently existing tDCS protocols directed to balance the activation of DLPFC areas involved in these processes (see, for instance, Kalu, Sexton, Loo, & Ebmeier, 2012; Loo et al., 2012; Nitsche, Boggio, Fregni, & Pascual-Leone, 2009). In line with this, it has recently been shown that changes in emotional attention processes resulting from anodal tDCS over the left DLPFC mediate the effects of neurostimulation on subsequent emotional reactivity to transient stressors (Chen et al., 2017). Furthermore, changes in emotional attention processes have been identified as a marker of clinical improvement in treatment-resistant depressed patients receiving intensive left DLPFC neurostimulation (Leyman, Raedt, Vanderhasselt, & Baeken, 2011). Our results clarify the specific attention mechanisms potentially linked to these effects and highlight specific components to be included in novel attention interventions. The use of anodal tDCS protocols, however, has some limitations. Anodal tDCS have diffuse effects and stimulate not only the proposed region and underlying neural network, but also adjacent cortical areas. Indeed, recent research shows that the higher distribution of field strengths at the brain surface resulting from tDCS tends to emerge into central areas in between the two electrodes (Opitz, Paulus, Will, Antunes, & Thielscher, 2015). Neuroimaging data has shown that tDCS over the DLPFC influences other sites beyond the targeted cortical region, modulating, for instance, resting-state functional connectivity in distinct functional brain networks (e.g., Keeser et al., 2011; Stagg et al., 2009). We argue that future studies should consider applying neuroimaging to investigate the specific neural connectivity changes during the attentional disengagement from emotional stimuli following tDCS. Such further research will provide important insights into the specific neural substrates of the target attention processes highlighted by our research. This will also serve to define precise fine-grained novel interventions targeting such crucial attention mechanisms. Furthermore, despite our efforts to maximize the comparability between our groups (e.g., excluding potentially confounding factors such as subclinical depression levels and focusing between-subject contrasts on the magnitude and directionality of active vs. sham anodal tDCS), participants were part of two separate assessment waves testing right and left DLPFC stimulation and were thus not randomly assigned to undergo either right or left DLPFC stimulation. Further research using fully randomized designs will be required to replicate the reported effects on inverse tDCS lateralization. Moreover, whereas our within-subject design for each assessment group provided statistically powerful contrasts of within-subject tDCS effects, comparing active versus sham stimulation in only one region may be limited given the mentioned diffuse effects of non-focal tDCS montages. The extension in future studies of our procedure using, for instance, HD-tDCS montages would be highly relevant. Finally, the face pairs in the engagement-disengagement task (Sanchez et al., 2013, 2017) are typically presented horizontally, on both sides of the screen (left and right). Because the montage of our stimulation system was unilateral, it would be recommendable for future studies using this tDCS setting to present facial stimuli vertically (in a top-down disposal), preventing possible confounds of contralateral processing time. In sum, our findings demonstrate a lateralization of tDCS effects on the top-down regulation of emotional attention processing. On one hand, anodal tDCS of the right DLPFC in healthy individuals results in impaired attentional disengagement from emotional information (see also Sanchez et al., 2016). On the other hand, as seen in the current study, anodal tDCS of the left DLPFC results in facilitated attentional disengagement from emotional information. Our results support the rationale of new therapies for affective disorders aimed to activate the left over the right DLPFC in combination with attentional control training. This opens new venues for interventions aimed to modify target neurocognitive mechanisms implicated in emotional dysregulation. Further control for confounders was done, regarding the potential role of blinding effects. At the end of the study participants were asked to identify at which session they had received either sham or active anodal tDCS. Only 16 out of the 54 participants (29.6% of the sample; nine in the left DLPFC group, seven in the right DLPFC group) correctly identified the tDCS sessions assignment (comparable to other recent studies testing the effectiveness of tDCS blinding protocols, e.g., Dinn et al., 2017). Therefore, our tDCS montage effectively blinded stimulation session assignation. Moreover, further ANOVAs controlling for blinding as between-subject factor showed that this did not account for any significant effect in the study, all F’s< 1.69, all p’s> .19, all η p 2 < .04.